The world was surprised when Beyonce announced that she was pregnant again through a stunning photograph. Twitter went wild after this surprise announcement, mainly because Beyonce has once again found a way to announce her pregnancy in a unique way. 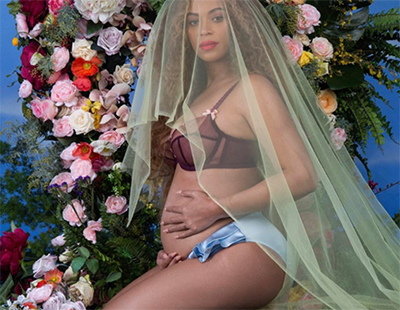 Aside from the fact that Beyonce had a surprise announcement, the photograph itself was such a beauty to behold. It was so tastefully done, that it immediately caught the attention of many people. It was just a matter of time before that photo where Beyonce was surrounded with garlands of flowers hit 10 million likes. It was said to be the most popular image ever posted on Instagram. The man behind the said photography was Awol Erizku. This LA-based artist has really made heads turn with his collaboration with Beyonce. Now, he is once again showcasing his talent, this time through painting, in an exhibition at Ben Brown’s London gallery. The exhibition was designed as a response to the racism and bigotry that is on the rise in the US in the age of Trump. In fact, the exhibition is entitled Make America Great Again which was the slogan used by Trump during the presidential campaign. This exhibit will showcase a lot of readymade elements. For instance, they will showcase the Wave Brake, which shows a mop bucket positioned in front of a painting sprayed with the number 12. This is in reference of the police. Another piece to be showcased is How That Make You Feel?, featuring the Stars and Stripes with the logo of the Black Panther Party on it. The art pieces on the exhibit are valued at around $5,000-4,000. Erizku was born in Addis Ababa, Ethiopia and moved with his family to South Bronx, New York where he grew up. 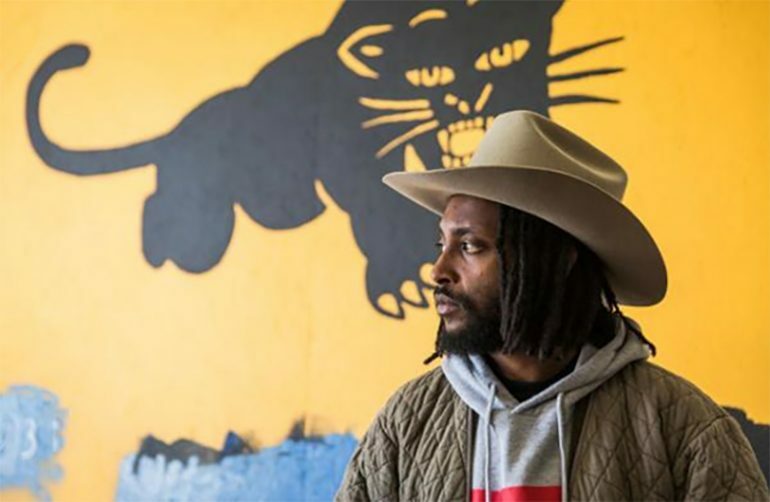 In an interview, he said that he would like to showcase the panther image because he is black and Muslim. He is an embodiment of everything that Trump stands against. This exhibit in London is the first time for him to showcase his talent in Europe. He is just 29 and is the youngest artist under Brown’s stewardship. At his age, he is already making waves in the UK. He was even tapped by more private museums in the UK. According to Brown, he would love to make Erizku even known by British institutions. Although Erizku is a talented artist and could definitely go places with his sheer talent alone, he said that that his Beyonce photograph really had a strong impact on his career. In fact, a lot of people have bought tickets to the exhibit just for the fact that he had photographed Beyonce’s pregnancy announcement. Rest assured, there is a lot more to discover from this young artist. His ability to come up with a stunning piece of art with a strong political tone is definitely worth supporting.